Get ready for Christmas fun and choose one (or more!) of our party ideas! We all love a good party, getting together with friends and just having a good giggle is great fun. Some of the best ones are themed parties. But rather than scratch your head and worry about what to do – we’ve come up with some original ideas for you! We have 8 great ways to throw a party that everyone will be talking about. 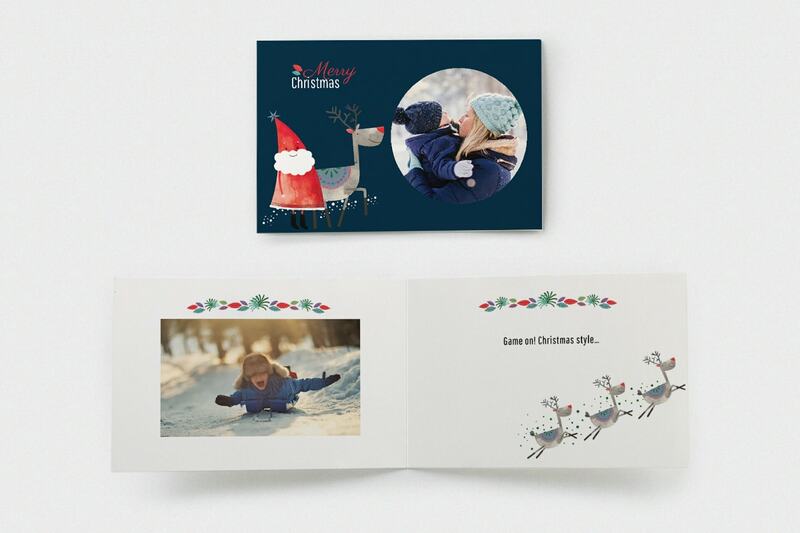 And to make sure you get everyone to come, we’ve got some great suggestions for invites from our Christmas card designs too. You’re going to love them! The idea: This one’s nice and simple. 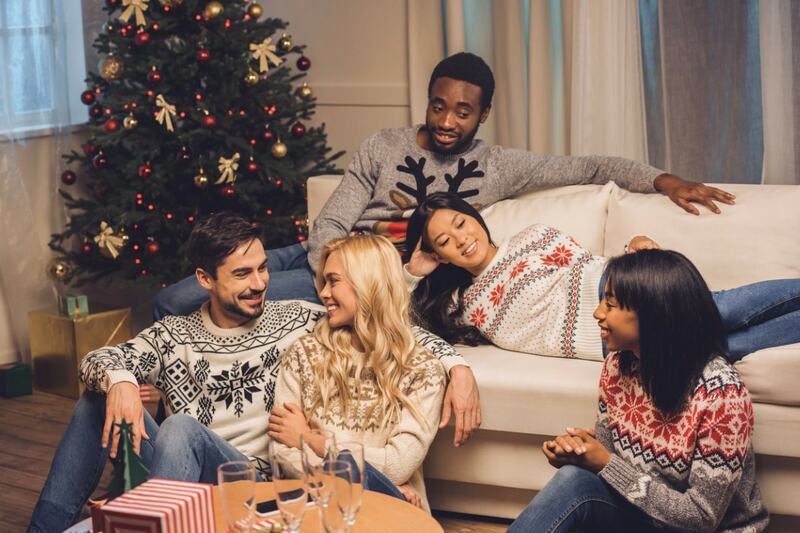 Get your guests to dig out the ugliest, nastiest, most laughable Christmas sweater they can muster. Preparations: First things first, make sure you have your camera at the ready. You don’t want to forget all the hilarious apparel that will walk through your door. Not to mention having some great photos to print out and poke fun at your friends with later on. Make it more fun: You could turn it into a contest and reward the most terrible sweater! Better still, don’t tell them there’s a contest until people arrive. They’ll love the surprise. Invitations: We’d recommend the Classic pattern, mainly because it sort of looks like the same one you see on old Christmas sweaters. 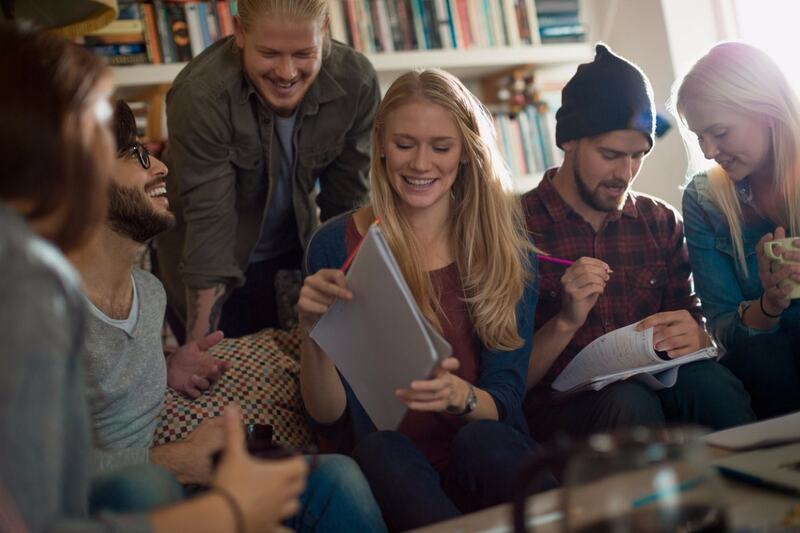 The idea: Get your friends and family to get into groups with the same number of people in each and ask each of them to come up with a silly group name. As the host, you’ll read out questions and the groups have to write their answer down on a piece of paper. At the end, you’ll count up who got the most right. Preparations: Collect questions that cover lots of different topics. Science, maths, general knowledge, Christmas! Give each team a pen and paper to write down their answers on. Go through all the questions, then ask each team to pass their answers to the team to their right. Then read out the answers one by one and get each to tick which ones their competitors got right or wrong…this makes sure there’s no cheating! 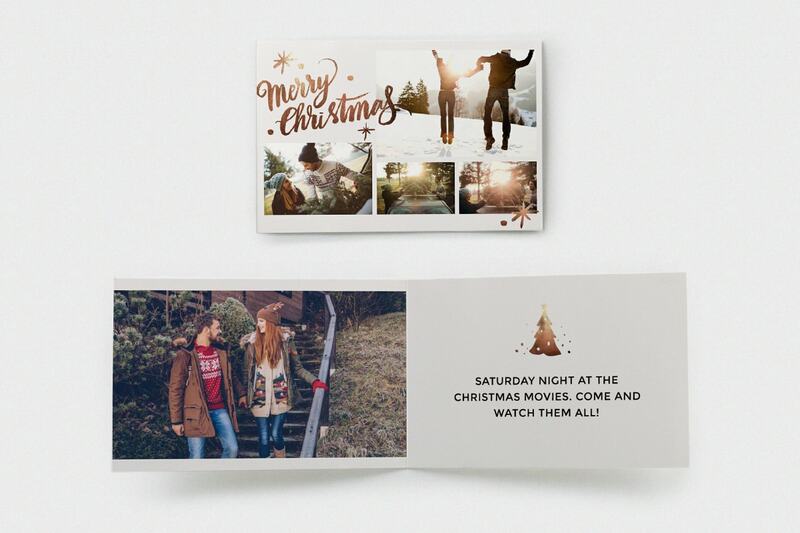 Invitations: Pine and holly is just so Christmassy. All you need is a photo that fits the theme. 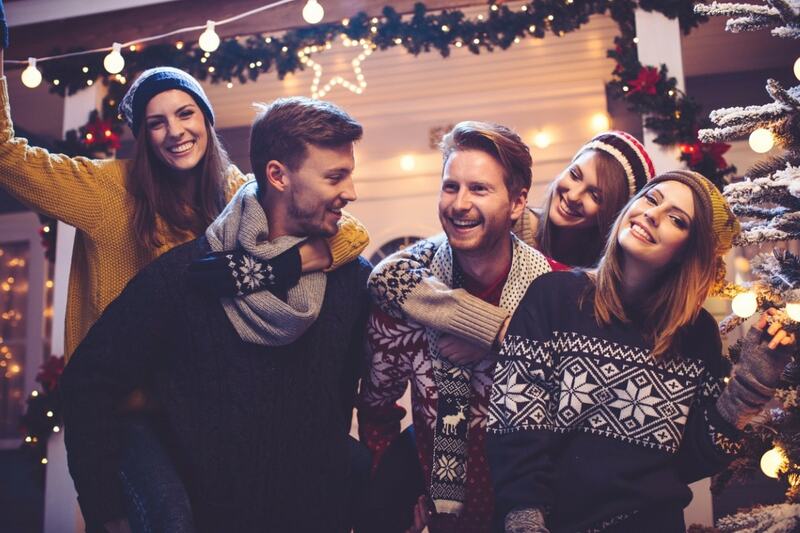 The idea: Grab all your friends and select some of your favourite Christmas films. We love Santa Claus The Movie, Elf and let’s not forget Home Alone (the first one’s the best). Preparations: Make sure you have enough space for everyone to snuggle up and get comfy. It goes without saying you’ll need to stock up on snacks. We’d recommend getting lots of popcorn: sweet and salty. It’ll make everyone feel like they’re really at the movies. Make it more fun: You could have a poll with everyone to see what film they’d like to watch. Or on your invitation you could leave a space for people to write down what they’d like to watch. The most popular one wins. Invitations: Sparkling Christmas is a good fit. Just dig out images of the films you think you’ll watch and slot them in. Job done. The idea: Unpack every single Christmas decoration you’ve ever owned and get creative. 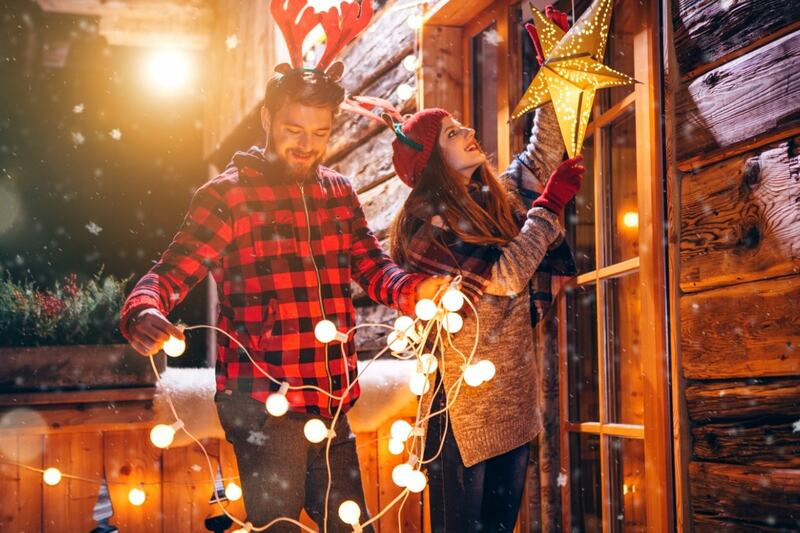 Turn your house into a winter wonderland Santa would be proud of. Preparations: There’s nothing like lots of paper snowflakes to make things feel festive. You could also make fake snow from cotton wool. Unpack all your fairy lights. Ask people to come dressed up in woolly hats, scarves and gloves. And of course, don’t forget your Christmas tree! 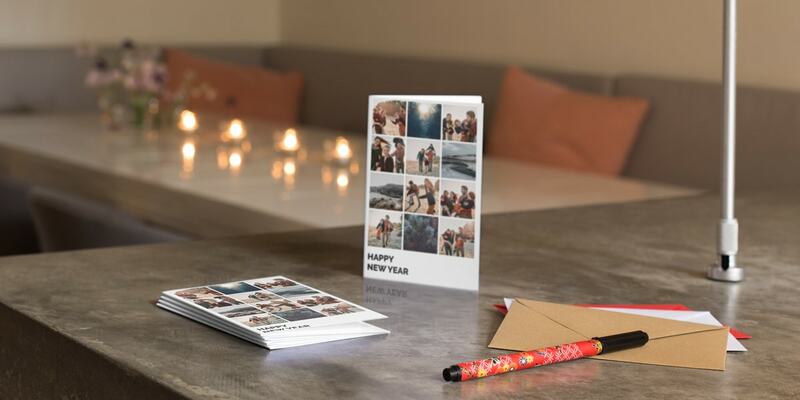 Oh yeah, and you could use all your Christmas cards as decoration too. 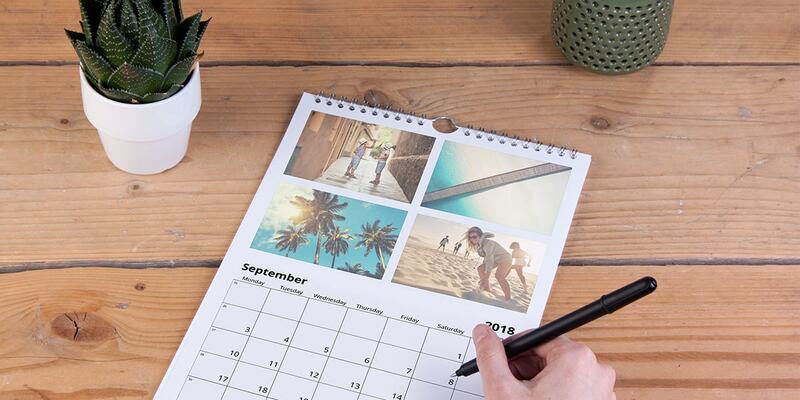 For handy tips on how to make the most of them – check out our blog post about it here. Make it more fun: Dress your dog as Rudolph and your cat as an Elf. Don’t forget to capture your pets in all their festive finery too! Invitations: Our Silver bauble invitation is the perfect choice. 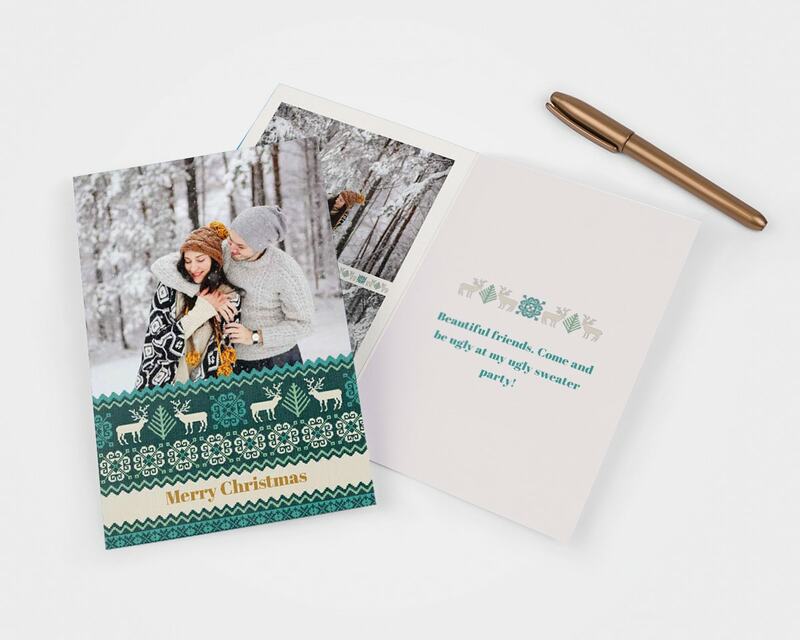 Its shiny colours, snowy design elements and pine cones, really fit with the winter wonderland theme. The idea: Everyone loves games at Christmas, so why not have a party that’s just all about games? Dig out all your old favourites and ask everyone to bring their favourites too. Jenga, Taboo, Cluedo, Scrabble, Connect 4 and more. Preparations: Deck your halls with Christmas bits and pieces and buy in lots of yummy snacks and drinks. And of course, don’t forget the games. Make it more fun: If games ask for teams, pair up people who don’t usually spend a lot of time together for some great bonding time. Or to make it more competitive, keep a scoreboard of who wins what games. 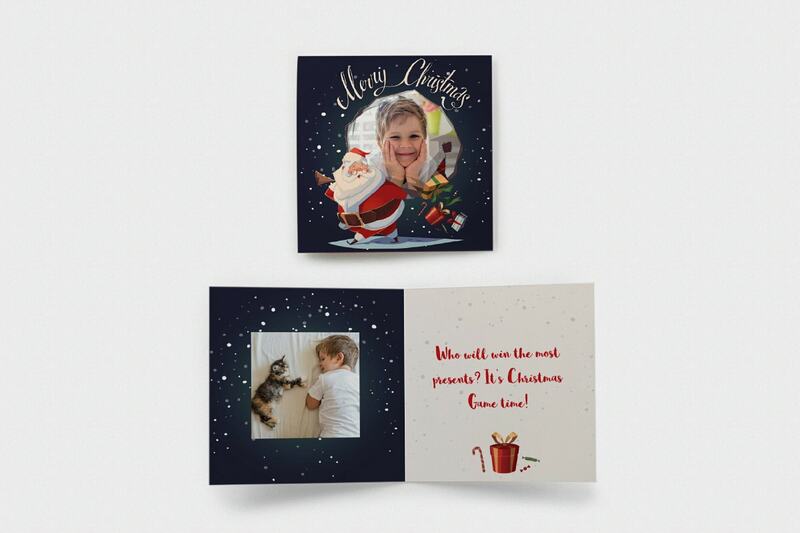 Invitations: We have the perfect one: Happy Santa. It’s playful, cartoonish and fits great with the games theme. 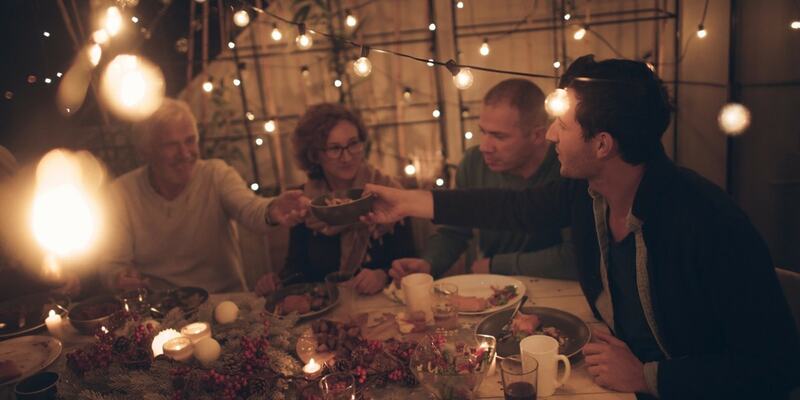 The idea: Ask your guests to rustle up some tasty homemade nosh (or drinks) that will be shared with everyone at the party. Preparations: Contact everyone and ask them what they’d like to cook up. Just make sure that there’s an even split of starters, main dishes, desserts and drinks. 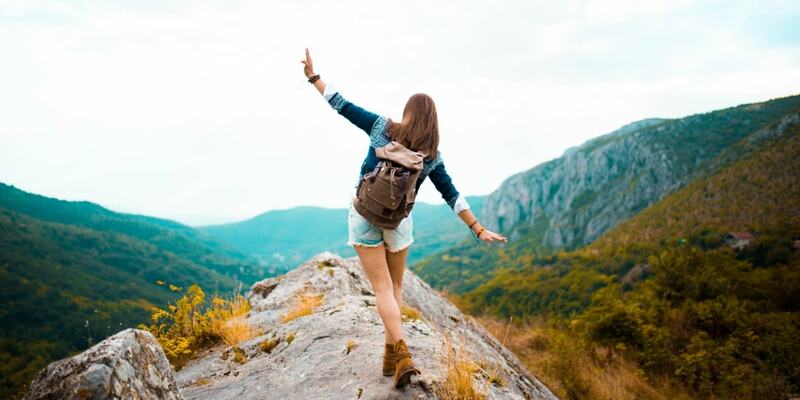 And of course, make sure you’ve charged your camera ready to capture every moment. If you’ve never really taken photos of food before, check out our Food Photography Tips blog. It’s full of great ideas. Make it more fun: Let’s get competitive! You can add a voting element to see which dish people enjoyed the most. But make it secret… Just hand out small voting cards to everyone and ask them to rate each dish out of 10. Then count up the points at the end. The most popular one wins a prize. 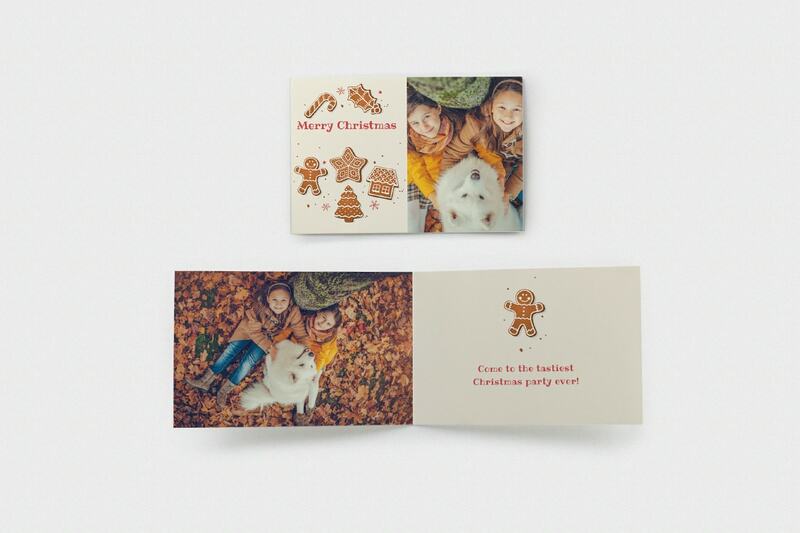 Invitations: There’s a Gingerbread design which ticks the food theme box perfectly. 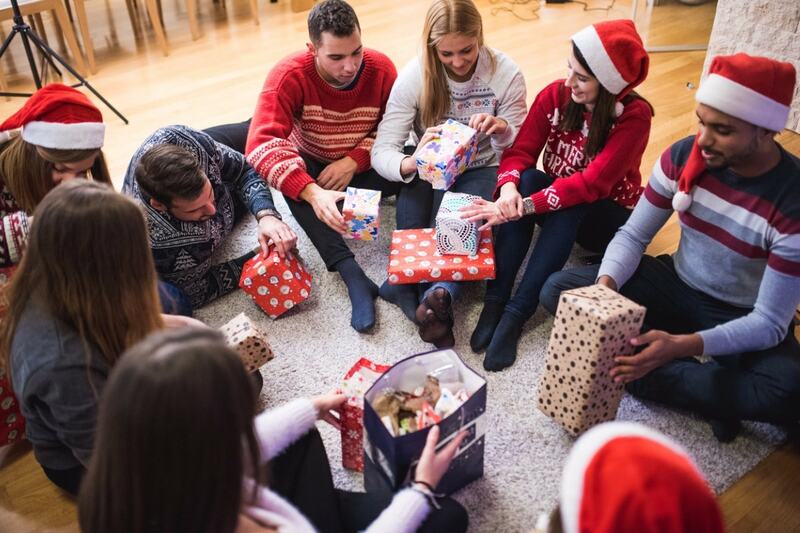 The idea: Any party that involves presents has to be good! Get together with everyone and play one (or more!) games. There’s Secret Santa: this is where you buy a gift for someone but it’s a secret who it’s from. Pass the Parcel (with mitten gloves on! ): get your presents ready. Wrap your present in lots of layers of wrapping paper with a little gift in each layer. Switch on the music and turn it off as it’s passed around. Whoever it lands on unwraps it. And so on. Of course, there’s plenty more games to enjoy. Preparations: This depends on which game you decide to play. Just make sure everyone brings a gift (there’s loads of great ideas on our site, like mugs! ), stock up on all your cheesy Christmas music playlists and prepare lots of nice nibbles and drinks for everyone. 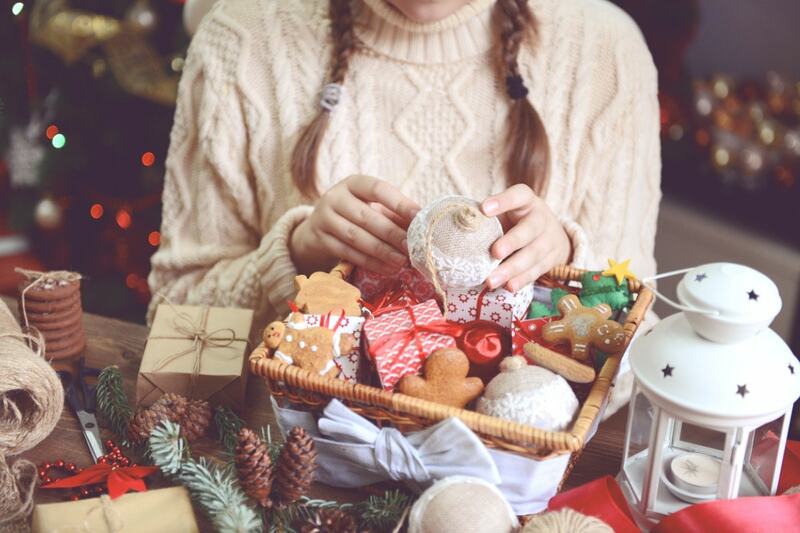 Make it more fun: What could be more fun than unwrapping presents to the backdrop of Christmas tunes and nibbles? Ah, the good life. Invitation: It just has to be our Santa’s Gift cards. This will fit beautifully with the gift game theme. The idea: Gather together all your friends and family and make something beautiful. 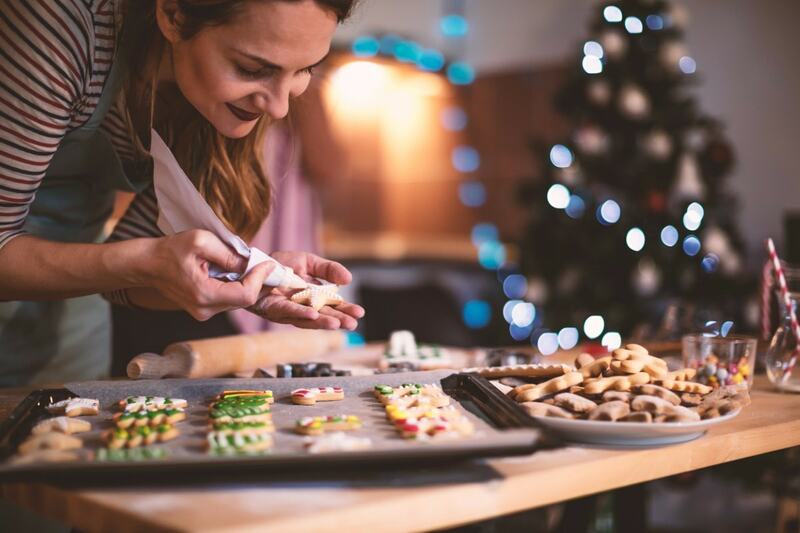 It could be anything at all like a gift basket bursting with presents, Christmas themed knitting, handmade Christmas decorations, flamboyant wreathes, add your personal touch to a gingerbread house and well, there’s so much more. Preparations: Make sure there are enough materials for everyone to make something, or better still ask guests to bring their own materials with enough to share. And as there’s going to be a lot of creativity in the room, make sure you have enough snacks on supply to fuel your hungry makers! Make it more fun: Who’s is the best? Put it to a vote! Whichever creation gets the most votes wins a special festive gift of your choosing. If you’re stuck for ideas, just click here. 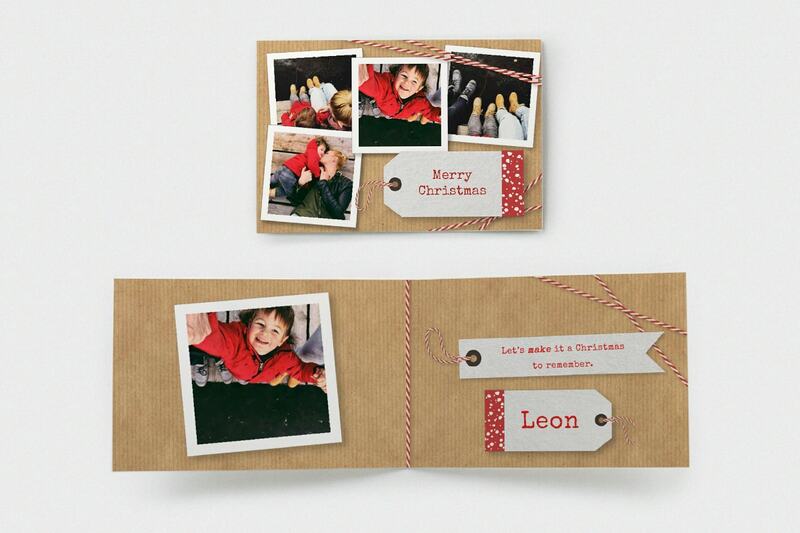 Invitation: Christmas labels fits the bill perfectly as it just feels so crafty. 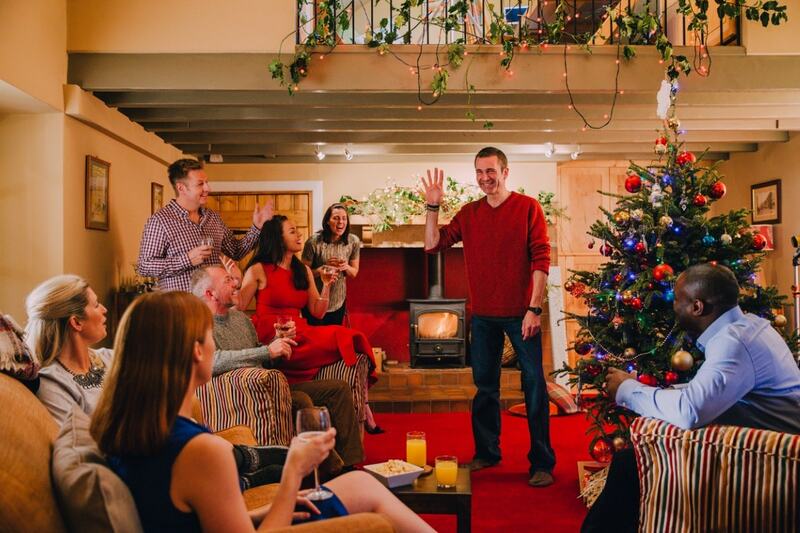 With so many party ideas at the ready, we’re sure you’re going to have an extra special Christmas! And we’d love to hear all about it. If you have any more ideas we’ve missed, let us know and we’ll share them with everyone. Of course, if you think any of your friends would enjoy throwing a party, share this blog with them using the social media icons below. Enjoy!